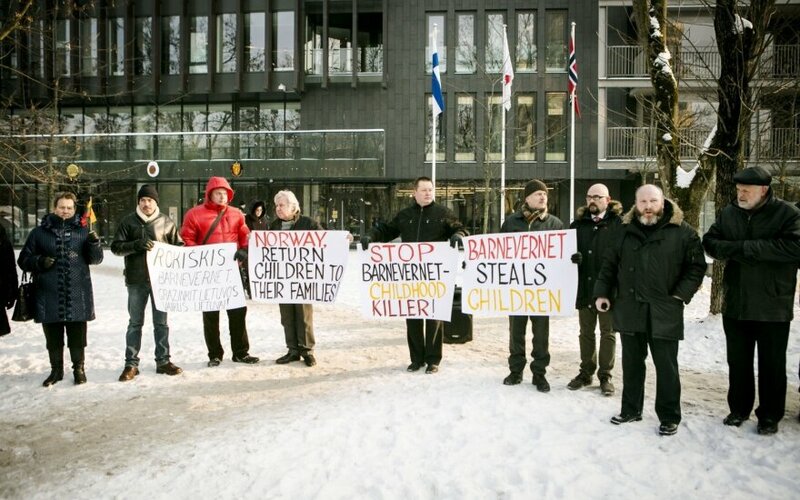 Protests have sprung up across a number of countries against the actions of Barnevernet, the Norwegian children's welfare service that has removed numerous children from migrant families in Norway. Last Thursday, one such protest sprang up in front of the Norwegian embassy in Vilnius but Linas Linkevičius, the Lithuanian Minister of Foreign Affairs, said “only a legal path, not populist protests and rallies, can be used to negotiate with Norway for the children that were taken from those Lithuanians”. The minister said there have been a range of negotiations with the Norwegian government over the past 3 years for bilateral agreements or other ways to clarify why Lithuanian families living in Norway lost their children and how they could be returned to the country's citizens. “The fact that Norway has decided to ratify, probably this year, the Hague Convention on Parental Responsibility and Protection of Children from 1996, is a big step forward. In addition, guidelines have finally appeared for what to do if Barnevernet has to deal with children in foreigners' families. I think that those guidelines appeared for a reason. Our approaches to the Norwegians to open up contributed to this. On the other hand, every child's situation must be evaluated individually, not at the populist rallies that have begun springing up all over the world,” said Linkevičius. Passions in Lithuania have been inflamed by the story of Gražina Leščinskienė, a Lithuanian migrant in Norway whose five-year-old son Gabrielius was taken away by Barnevernet. 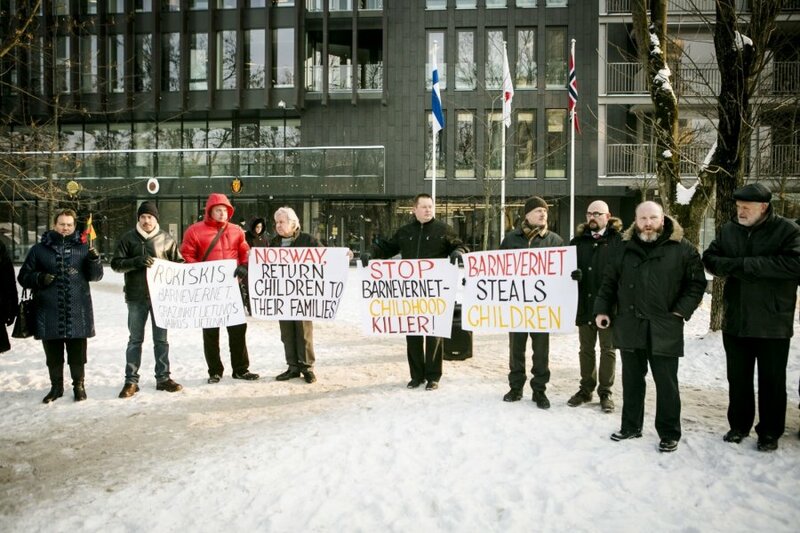 Since Norway's childcare service is not allowed to share details of the case, discussions in Lithuania have been dominated by the family's side of the story. After Barnevernet took interest into Leščinskienė's family, the woman's brother tried to take the boy from Norway to Lithuania, but was caught by Swedish authorities. As a result, neither his mother nor other family members have been allowed to see him, Stašienė says. “I will probably never get to see my grandson again,” Stašienė said with tears in her eyes. She denied that there had been alcohol abuse at her daughter's home in Norway or that Gabrielius had received insufficient care and attention from his mother. Leščinskienė has lost all her appeals against the decision to date after her brother secretly tried to bring Gabrielius home to Lithuania. He was arrested in Sweden. Gabrielius was returned to Norway, and the man had to return home alone. Media have reported that Barnevernet's sixth level, or the second highest level of security available, is currently being used for Gabrielius to prevent his relatives' possible attempts to kidnap the boy from the foster family. The seventh, and highest, level would involve changing the boy's identity. Leščinskienė is currently awaiting the ruling of her final appeal in an attempt to regain her parental rights. The MP also believes that Norway should be reminded about the cases of Lithuanian children at every opportunity. The friendly relationship between Norway and Lithuania could be used to further this end, because the two countries work together on a wide array of issues. Kęstutis Daukšys, the head of the Seimas' Labour Party group, believes that the Lithuanian government should do everything it can to ensure that Lithuanian children be transferred from any foreign country to family members or custodians in Lithuania: “This problem shouldn't be dealt with in Norway or elsewhere, it should be solved here. According to Daukšys, the Seimas has already supported a legal proposal that would allow the Lithuanian Child Rights Protection And Adoption Service to care for Lithuanian children in other countries.